Severobaykalsk is a remote city in Siberia that rises along the north-western shore of Lake Baikal. It is especially interesting for the nearby Goudzhekit Hot Springs, which also offers cross-country ski trails and other winter sports. Severobaikalsk is a city in Siberia (Russia) located along the north-western shore of Lake Baikal. 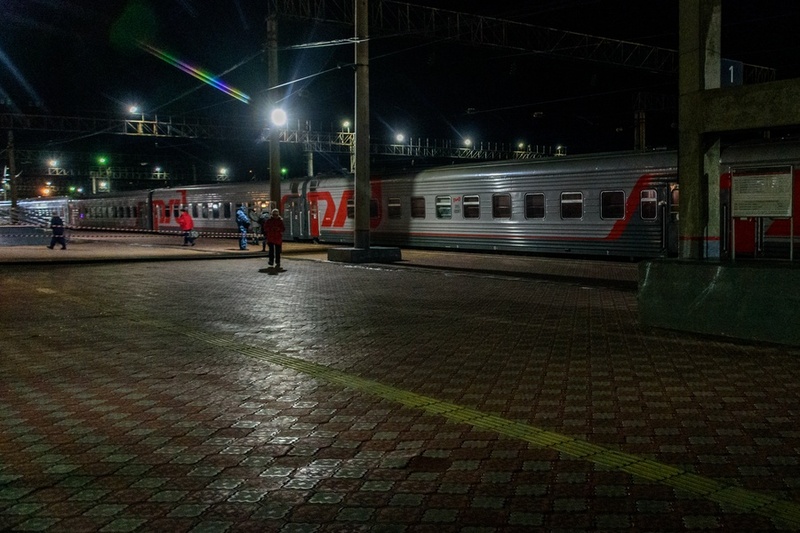 The city has seen a huge population grow only since the '80s, due to its strategic position along the BAM (Baikal-Amur Mainline) railway line . 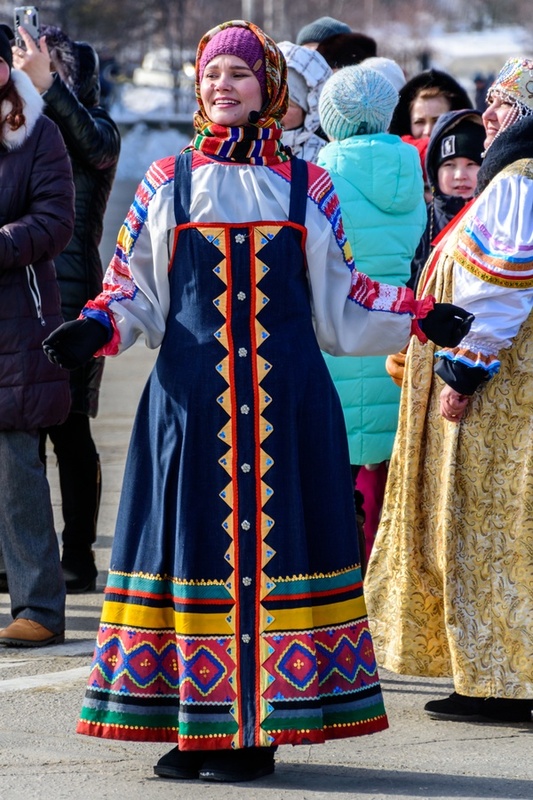 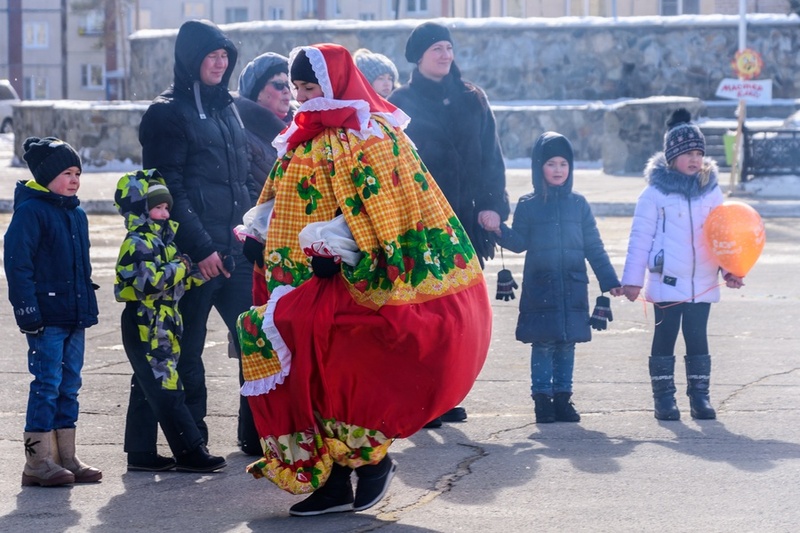 By 2019, Severobaikalsk has almost 25,000 inhabitants. 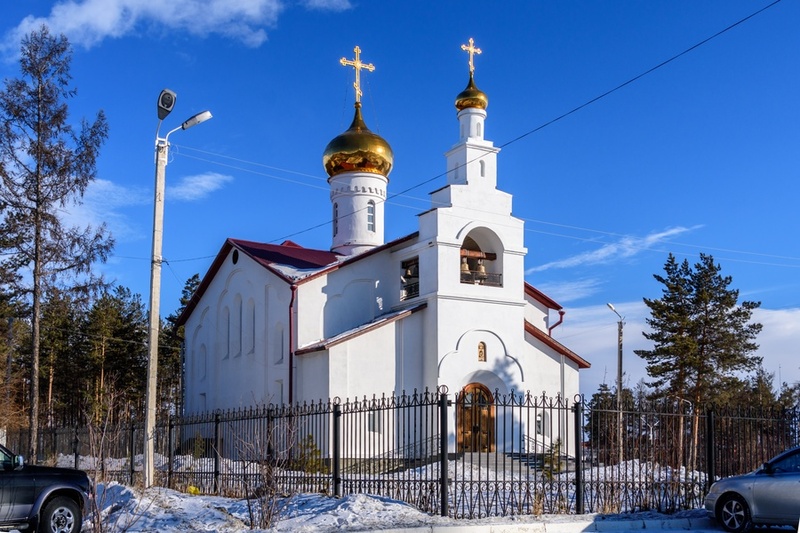 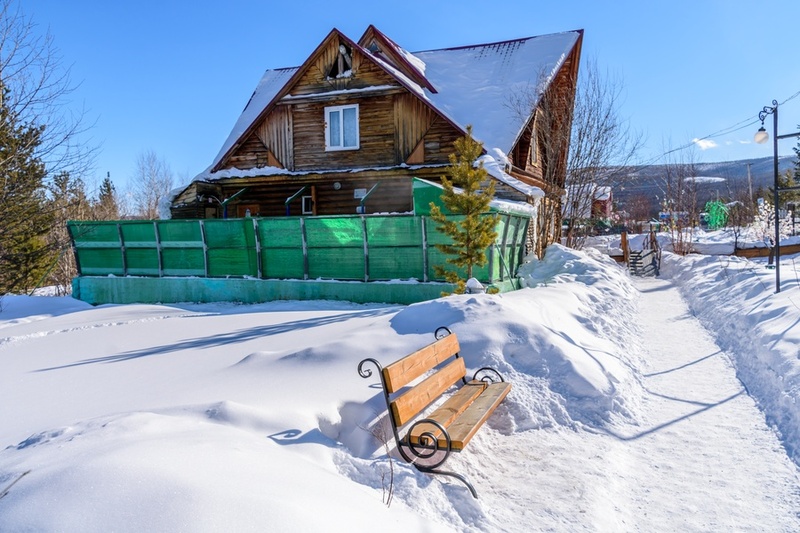 From a tourist point of view, Severobajkalsk is an important gateway to Lake Baikal due to its railway station, while the nearby Goudzhekit Hot Springs offer the opportunity for a day at leisure among various winter activities and a small spa. 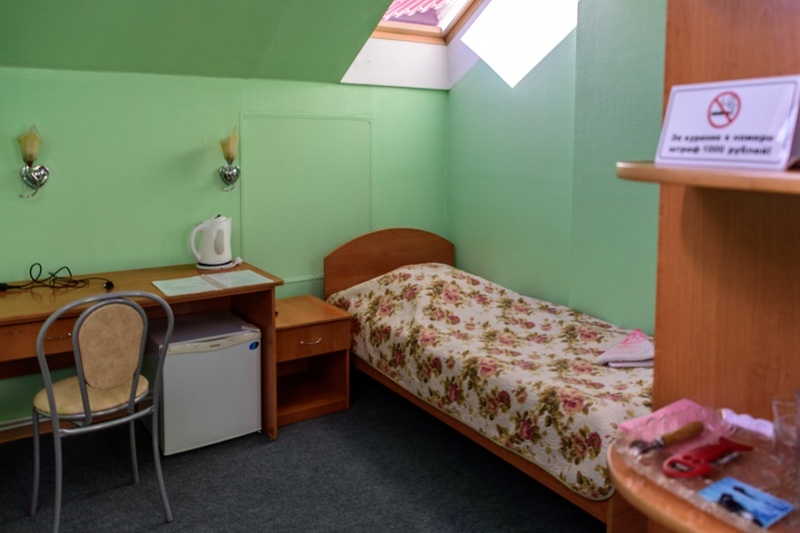 In the city there are various good hotels, guesthouses and families offering home stay. The only airport near Severobaikalsk does not offer lot of flights (maybe in the future with growing tourism?) but the city can be reached by train from Irkutsk in 31 hours, from Novosibirsk in 40 hours or from Krasnoyarks in 30 hours. 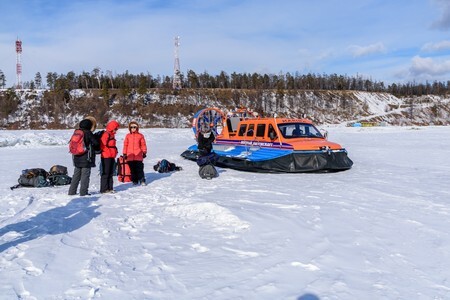 Seasonally, Lake Baikal is used as the fastest way of communication: in summer there is occasional ferry services to Irkutsk (10-12 hours of navigation), while during the second half of winter the compact ice of Baikal offers the possibility of arrive in Severobajkalsk by hovercraft or by car from all the other places around the lake. 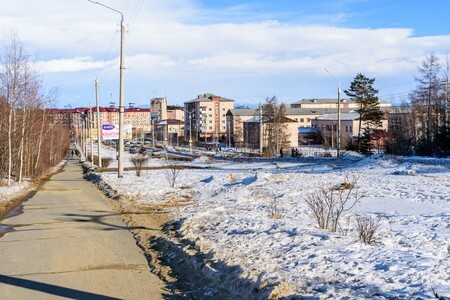 Irkutsk and Severobajkalsk are also connected by a road of about 800 kilometers, mostly paved. The Hot Springs of Goudzhekit are located 25 kilometers from Severobaykalsk and can be reached by train, taxi or organized excursions. 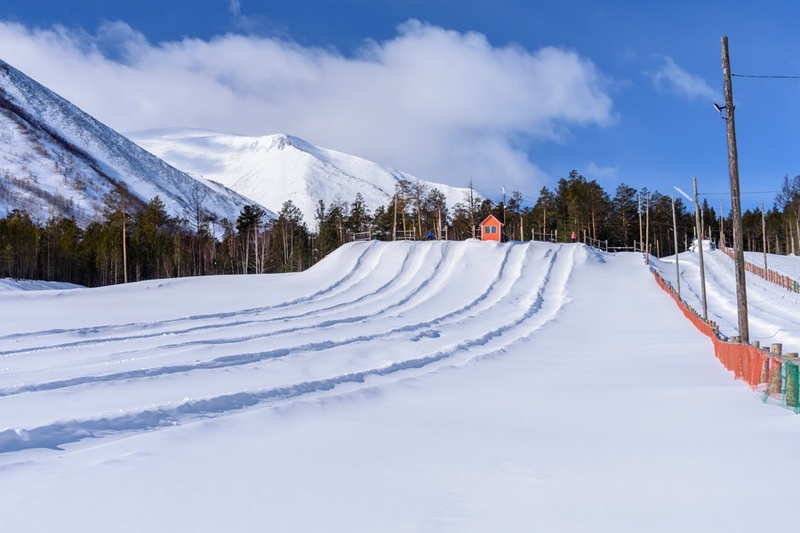 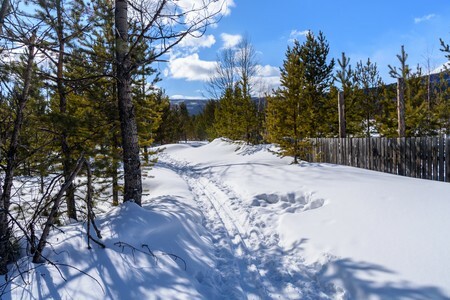 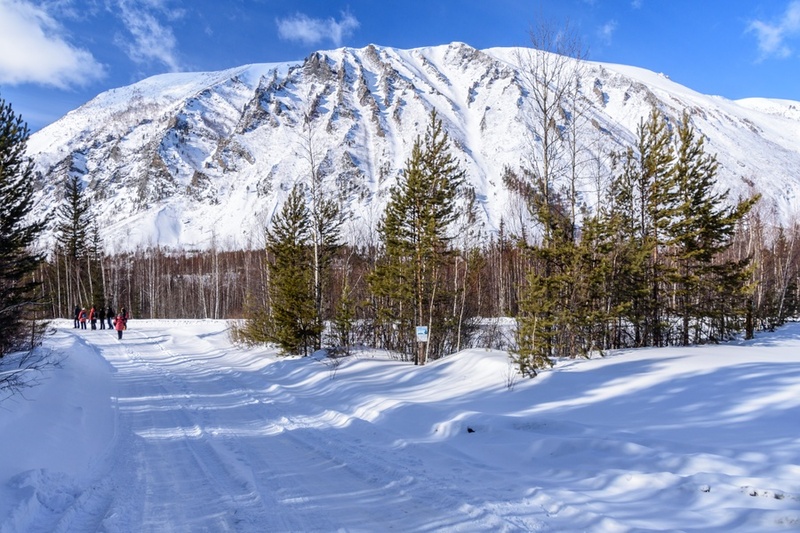 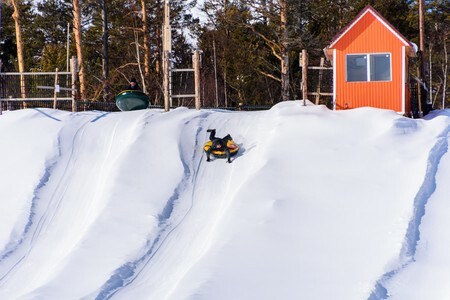 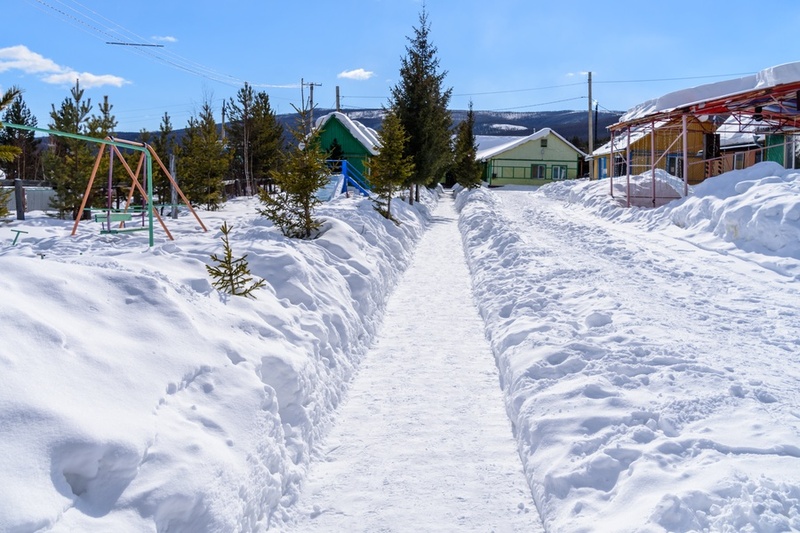 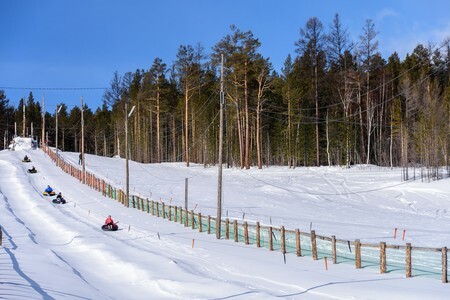 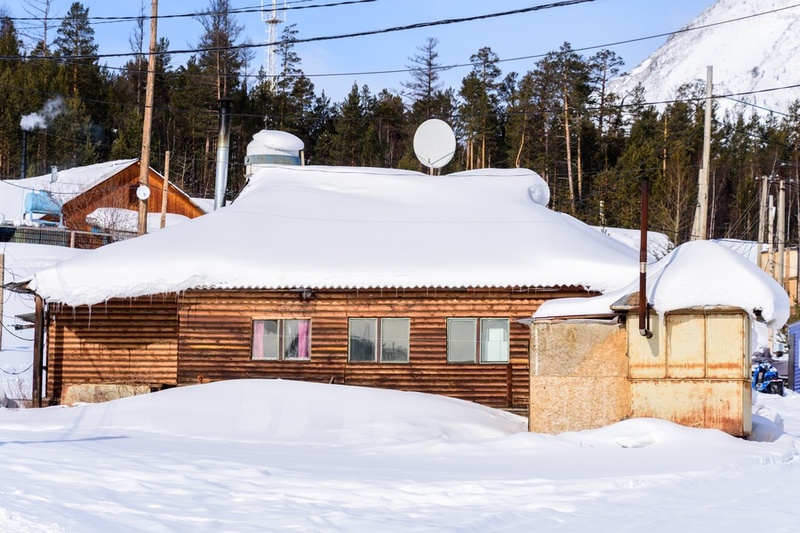 In addition to two small pools where visitors can enjoy the healing water of the hot spring, Goudzhekit offers various activities depending on the season, such as cross-country skiing, snowmobiling or trekking in the taiga. 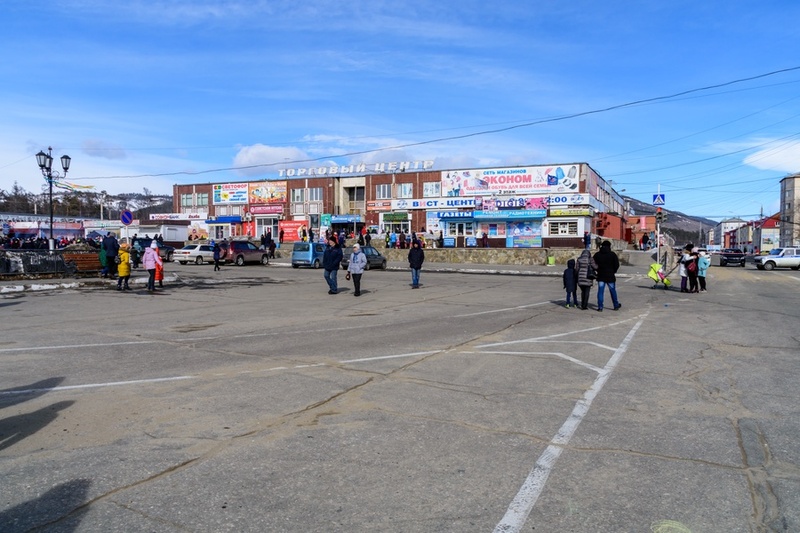 But now let's see some photos of Severobaykalsk and of Goudzhekit. 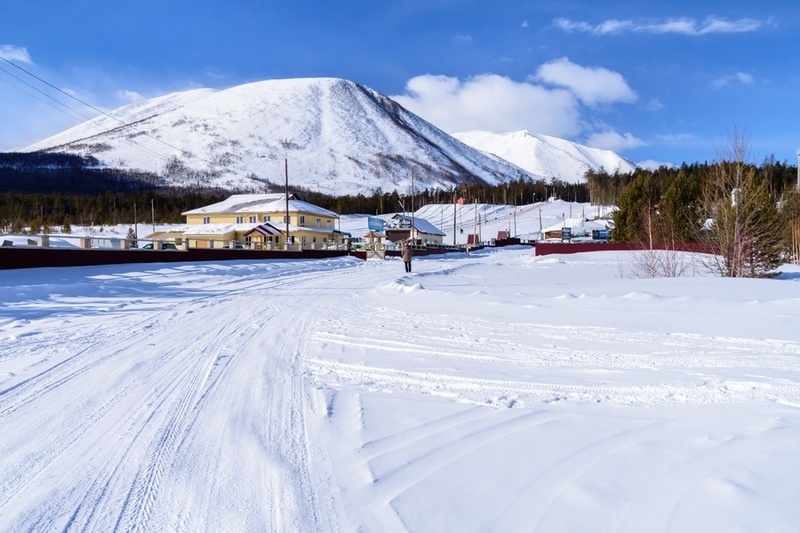 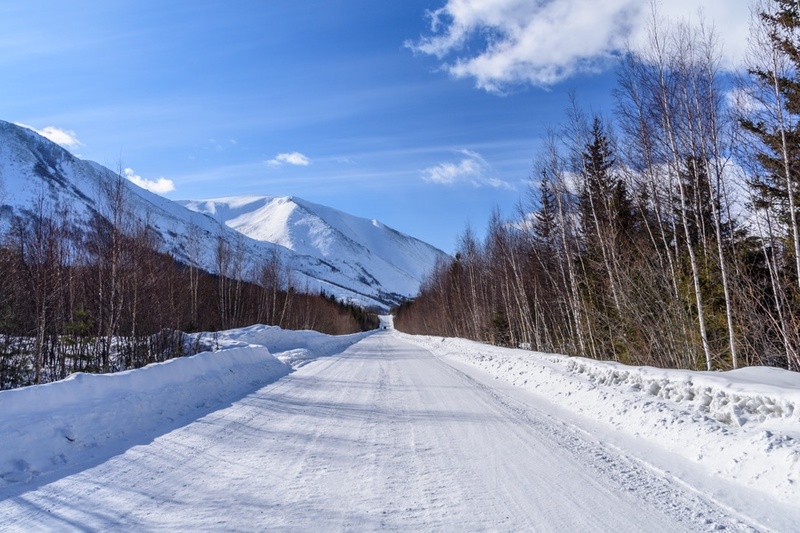 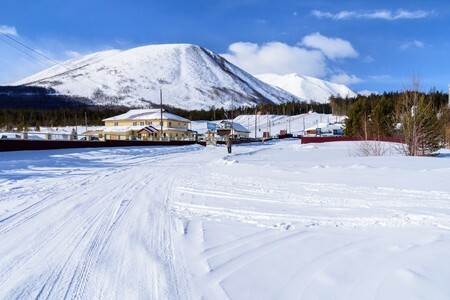 There are various ways to get to Severobaykalsk, depending on the season and the place of departure. 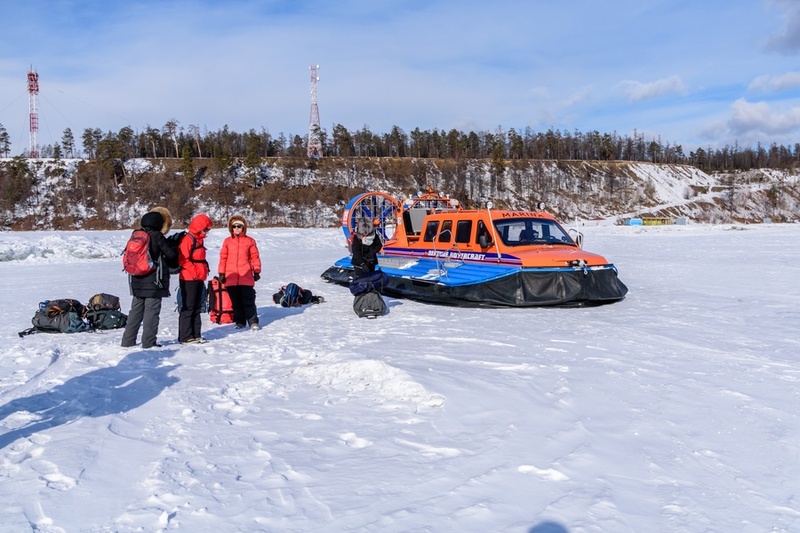 Today, we are getting to Severobaykalsk from Khakussy by hovercraft traveling on Baikal's ice. 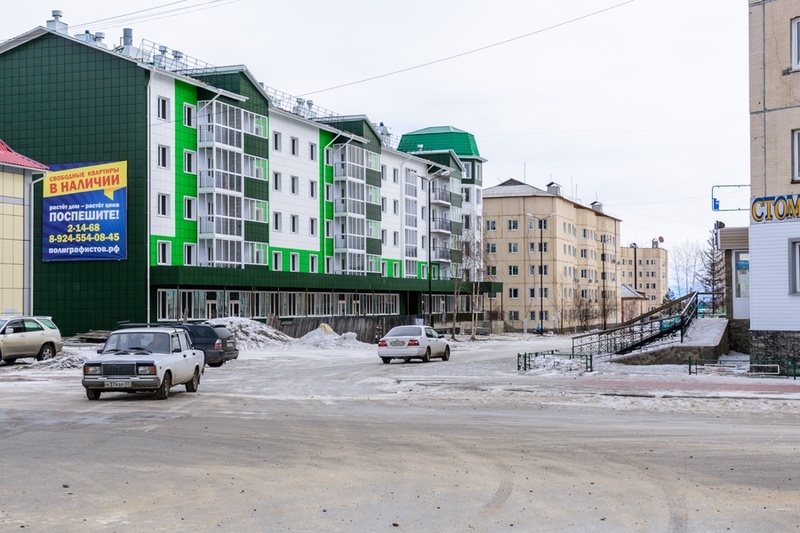 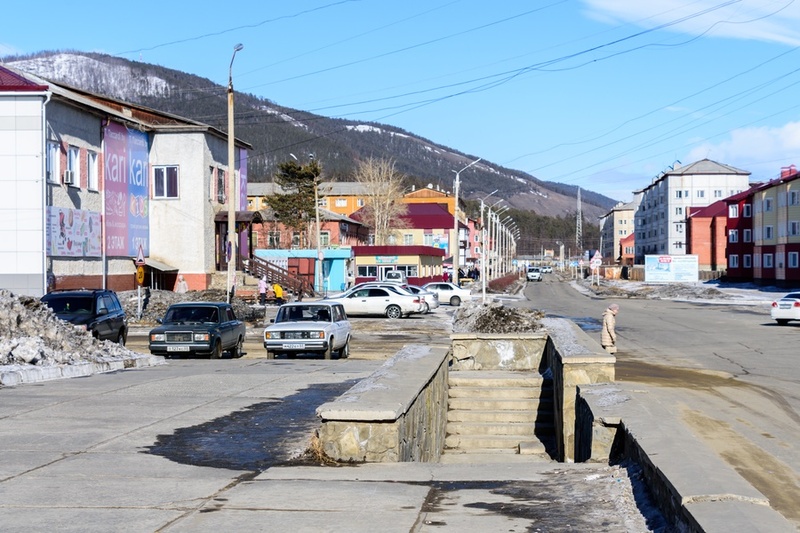 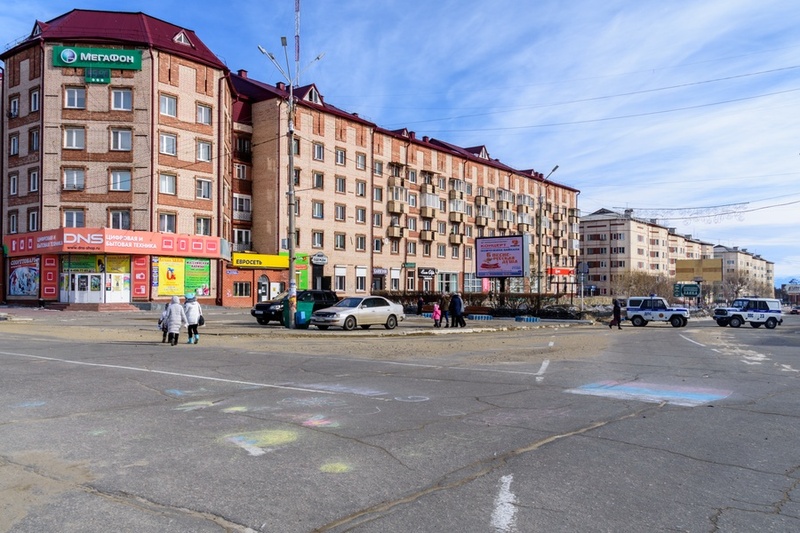 Severobaykalsk is a rather isolated but modern city in Siberia, which has developed rapidly since the '80s, as a logistic and support center for the BAM railway line (Baikal-Amur railway). 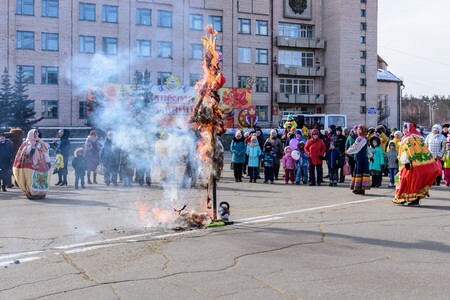 In the central square of Severobaykalsk, we found a party, during which a mannequin was set on fire. 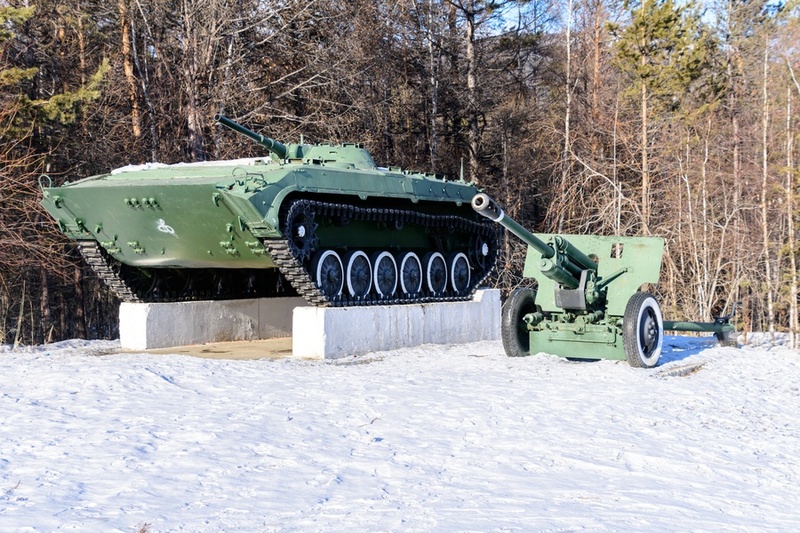 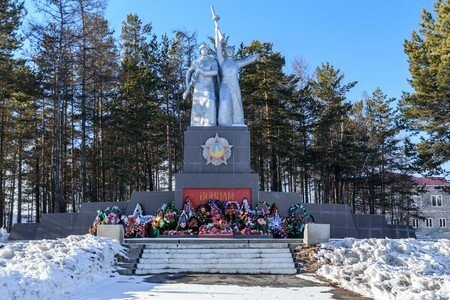 A memorial in Severobaykalsk dedicated to who lost the life during the Second World War. 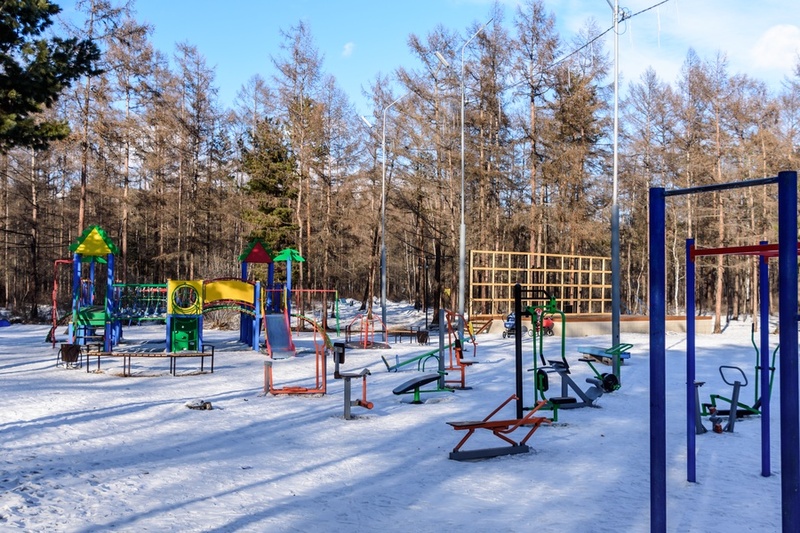 A city park in Severobaykalsk hosting various games for children, surrounded by cedar and birch trees. 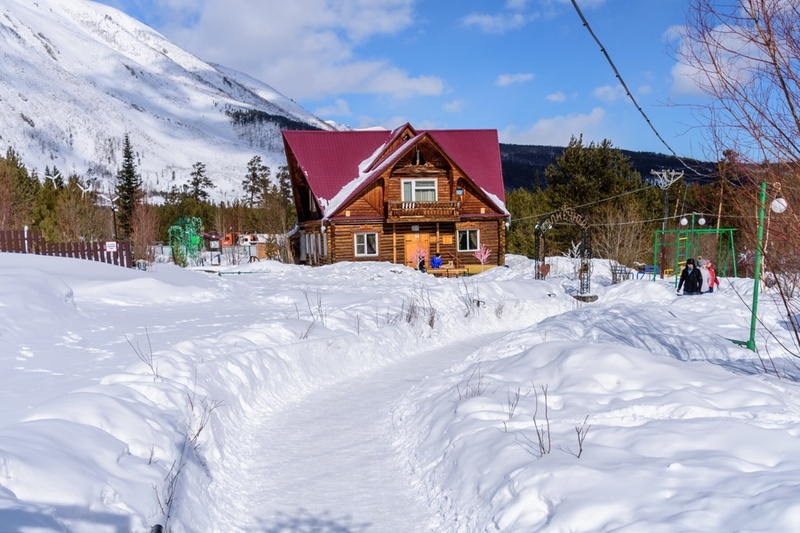 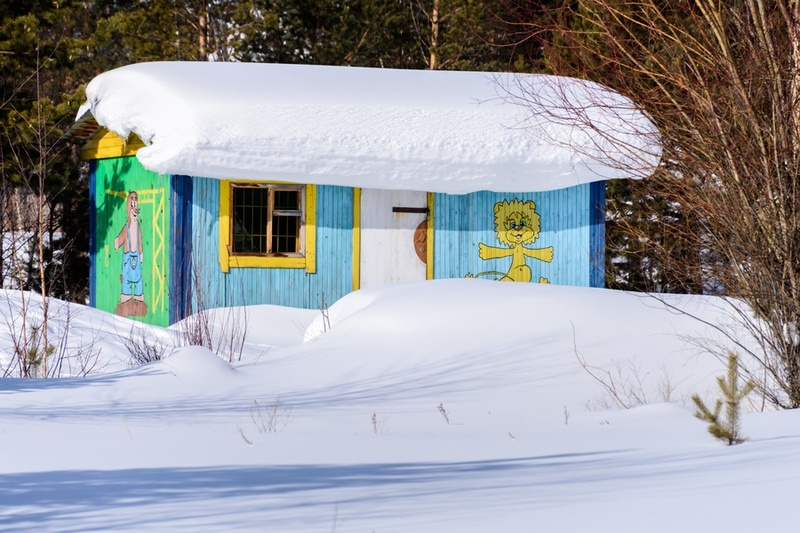 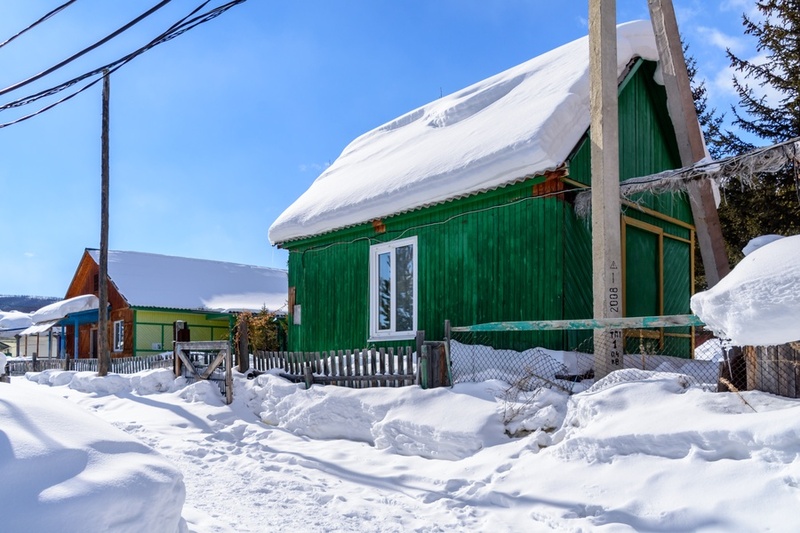 25 kilometers from Severobaykalsk, reachable by train, taxi, or organized excursions, Goudzhekit offers a bit of fun with several winter sports among landscapes dominated by beautiful mountains and taiga forest. Nestled in the mountains, the town of Goudzhekit receives more snowfall than the average on Lake Baikal in general. 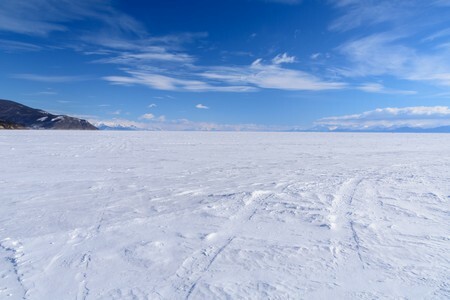 This is immediately noticeable, due to the considerable thickness of the snow. 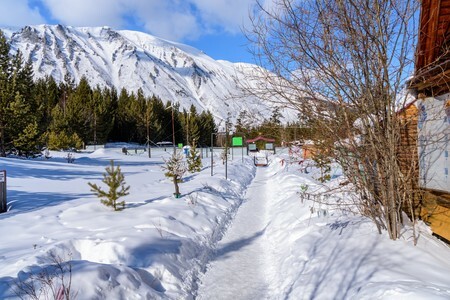 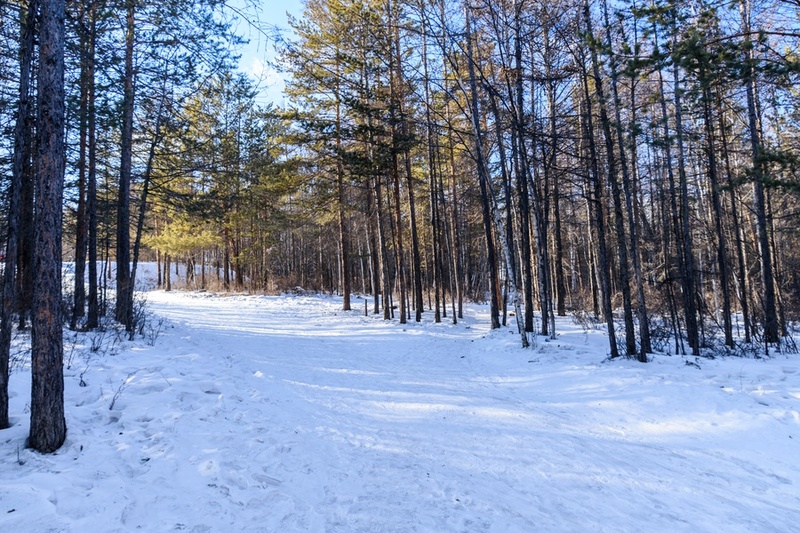 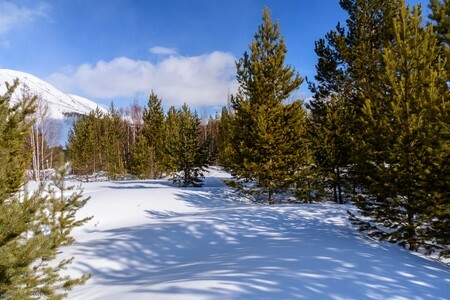 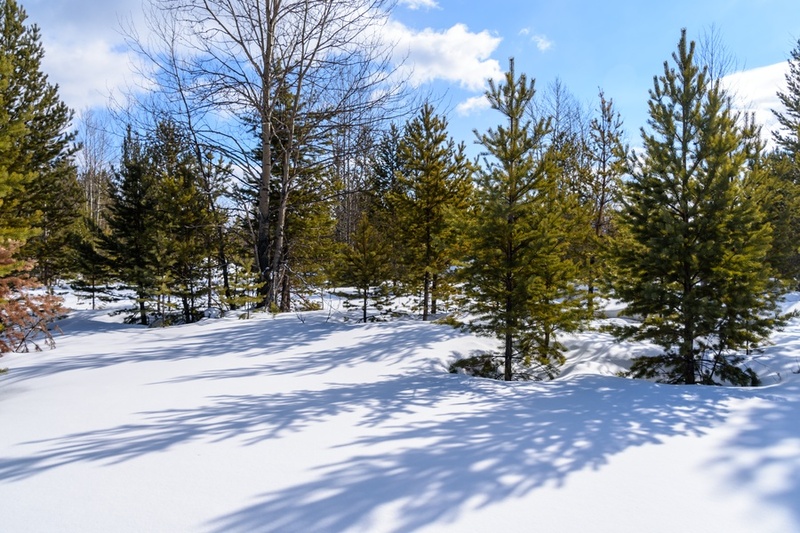 An option in winter to spend time in Goudzhekit, is to do some cross-country skiing along a trail winding between cedars and birch trees. 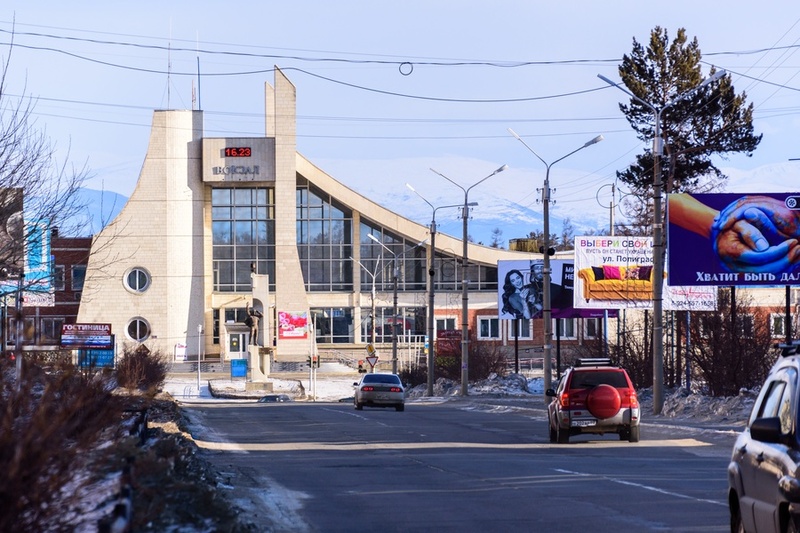 The Goudzhekit Hot Springs offers two pools of water at different temperatures, protected by a windbreaker shield that prevents to see how is inside. 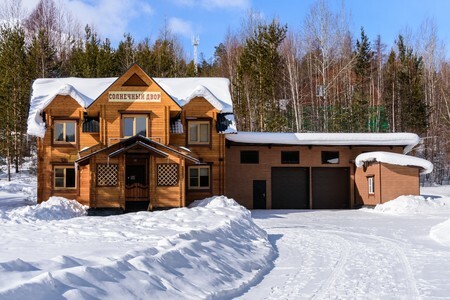 The structure is equipped with heated changing rooms and a sauna, while the pools are outside. 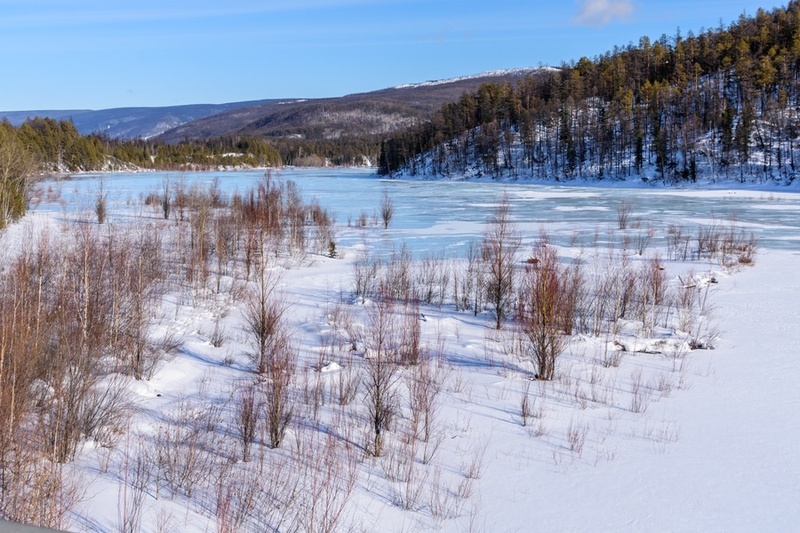 The water is very rich in mineral salts and has excellent healing properties for the skin and for osteoarthritis. The landscape around Goudzhekit, dominated by beautiful mountains and taiga . 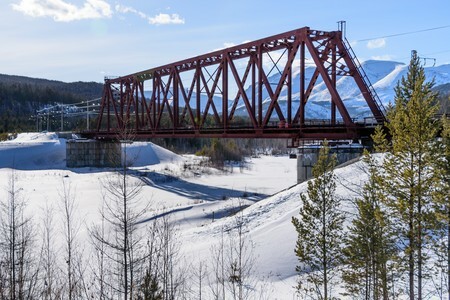 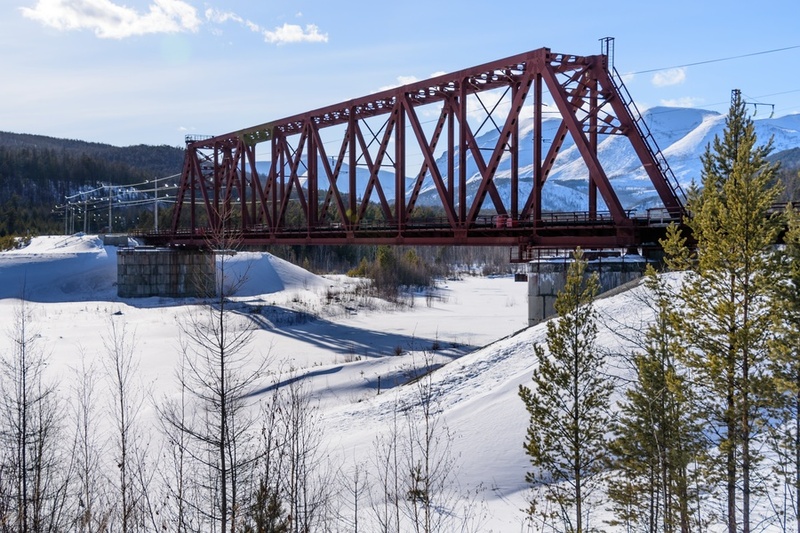 The BAM railway runs through the narrow valleys with bridges over frozen rivers. 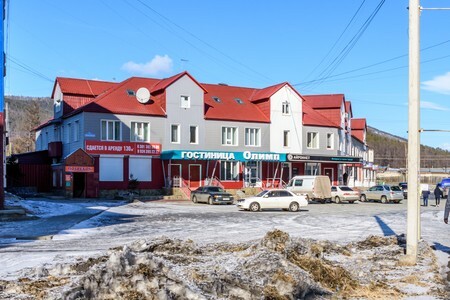 Where to stay in Severobajkalsk? 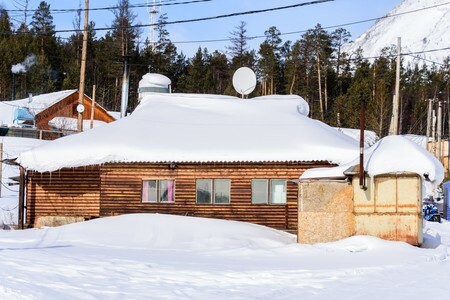 For the growing tourism, the city offers numerous accommodation solutions, including hotels of reasonable quality, guesthouses and hospitality with local families. 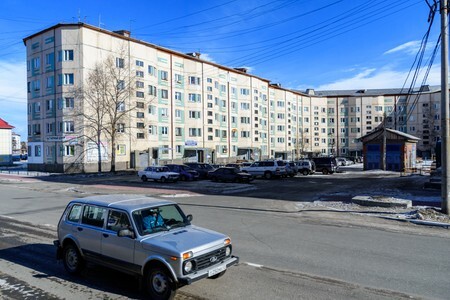 This in the picture is the hotel Olymp just a short walk from the city center.